Like many other automakers, Koenigsegg will use the upcoming Geneva Motor Show to showcase a handful of its newest builds. 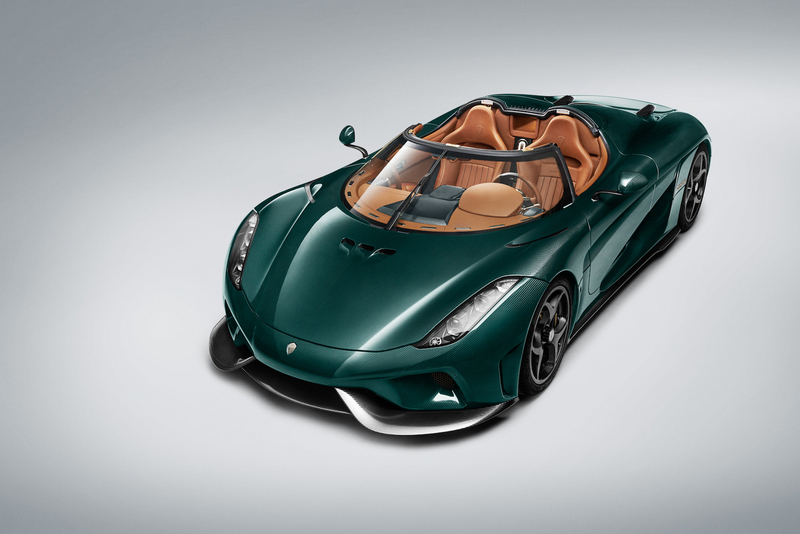 For this year's show, however, the Swedish automaker won't apparently be bringing any new, futuristic concepts—instead, Koenigsegg will unveil two of its Regera customer cars, both of which are undeniably striking. 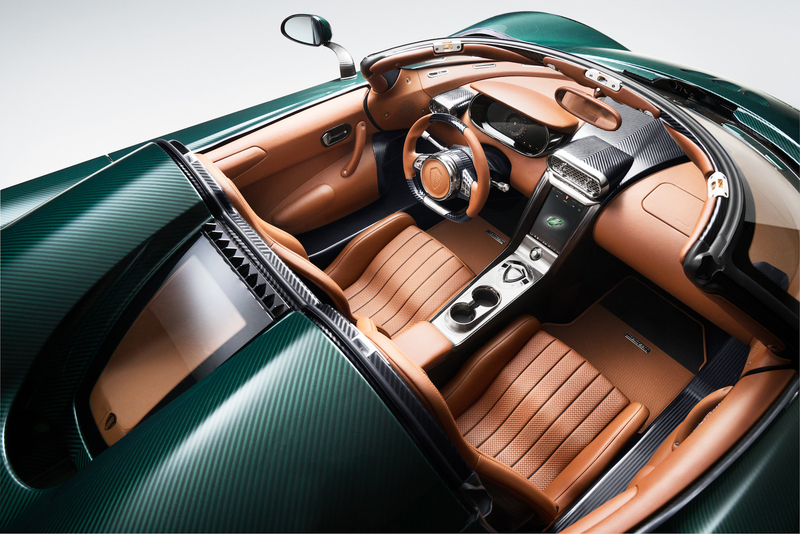 The first customer car, whose color scheme is quintessentially British, sports a green-tinted clear coat on top of the car's carbon fiber body panels that allows its perfectly symmetrical carbon weave to be noticed—and then subsequently ogled at. Its interior features saddle brown-colored leather that covers the steering wheel, seats, doors, and stretches over the dashboard and rear wall. This car will also ride on Koenigsegg's newest wheels—called Tresex, these carbon fiber, hollow-core units apparently save 40% of wheel mass compared to a lightweight alloy wheel that's the same size. Incongruous with the car's tasteful looks is a frankly rude powertrain, which consists of three electric motors (that alone create 670 hp) that are paired to Koenigsegg's faithful twin-turbocharged V8. Total output is 1,500 hp—or the power of seven and a half Volkswagen GTIs. Most notably, though, is the transmission, or lack thereof. Koenigsegg has opted to use a Direct Drive system to keep weight down—no gears here, people—that's able to bring the car up to a reported top speed of 250 mph. Watch Mr. Koenigsegg explain the system in detail here, so I can tap out. If you're one of the many folks who can't make it Geneva this year, take a peak at the photos below to see what a British-themed, Swedish-built supercar looks like. "Bonkers," our friends across the pond might say.